Our German teachers – Natives and experts with experience! Use the opportunity offered by our German online trainings. Our qualified, native teachers and multi-lingual experts with years of experience in teaching German online are already expecting you! Never mind if you are at home, at your office desk, on a business trip or in your free time. You can avail of our teachers from everywhere and practically all the time. Get to know our German teachers now and inform yourself about the next course dates! 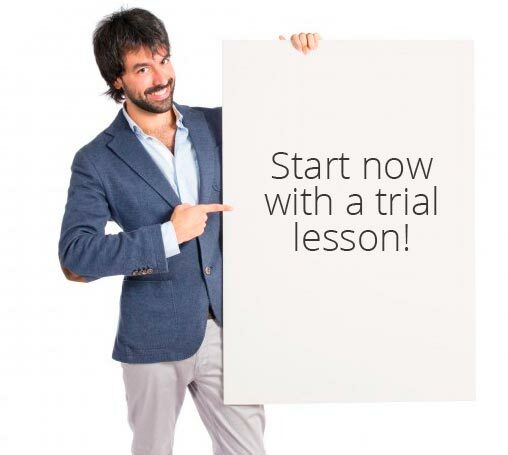 Meet our German teachers and start now with a trial lesson! Register for our German online training! Get to know our virtual classroom! Worldwide learning, also on business trips! Many variants of learning German. Online payment possible, PayPal or bank transfer, too. We work on presenting you the best way of learning German online! We offer you system from online registration to teacher and course choice from a partner that will blow your mind! Only the best teachers are waiting for you online, they receive the best training to make you progress with the most relevant teaching material and the most effective online trainings. Everything in one go! Upon online registration through our safe system you acquire your lessons in the form of credits from our partner payment portal per PayPal, credit card, direct debit, online transfer and many more options. Everything is safe and protected! Your company also wants to have their particularly involved workers to learn German but has so far found no way of giving them time to go to school somewhere else? Then why not try our online training, it can be turned on worldwide and can be used from an office desk. We can guarantee verifiable attendance and progress! Virtual learning means learning without borders and practically without time zones. No matter from where in the world, which time of the day or time zone we offer German online courses almost around the clock. You are still waiting on a German visa or a playing with the idea of coming to Germany for work or studies? Then learn German with us while you wait.